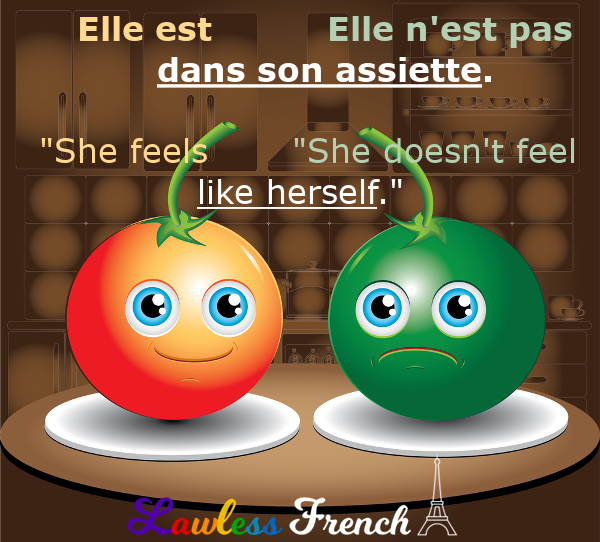 Usage notes: The French expressions être dans son assiette (to feel well, to feel like oneself) and avoir l’air dans son assiette (to be looking well, to look like oneself) are most commonly used in the negative, to indicate that a person either doesn’t feel well or looks like he or she doesn’t feel well. Je vais rentrer, je ne suis pas dans mon assiette ce matin. I’m going home, I don’t feel well this morning. Ça va, Anne ? Tu n’as pas l’air dans ton assiette aujourd’hui. Are you ok, Anne? You don’t look yourself today. Note that the possessive adjective changes to agree with the subject. Il y a trop de sauce dans mon assiette. There’s too much sauce on my plate. 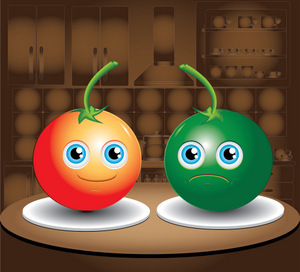 C’est quoi sur ton assiette ? What is that on your plate?